Pulse of Murasa is a card with a bright future. It is not yet fully understood, or widely enough played. … But they end up in an unanticipated place. Pulse of Murasa is sweet, right? Pulse of Murasa is kind of like both halves of Renewed Faith. For one more mana than a cycled Renewed Faith, Pulse of Murasa is both halves. You get six life, and keep the land! One of Mike’s ideas is to run Pulse of Murasa in a conjectural sixty-four card deck. Keying in on the Ben Rubin strategy of playing a bigger deck in order to accommodate more fetch lands as tutors, Mike posits hybridizing with a further [real] tutor engine of Bring to Light. An additional tutor theme will further pay off a larger deck size. If you’re going to play Five-color Bring to Light anyway… What about 20 + 5 + 5? Patrick points out that by playing even more cards than BR did you can play all five colors but have better mana than a sixty card deck with twenty-seven lands! Each of the fetch lands is effectively a “quad land”. You will draw a lower percentage of battle lands and a lower percentage of basics; and a greater percentage of the fetch lands that can each get four of the five colors! This is a mana base that maximizes the ability to hit more, different, colors and a huge percentage of your lands will enter the battlefield untapped! What follows is a truly Innovative discussion of a new approach to deck design, plus a rundown of all the current top Standard archetypes. Is Remorseless Punishment the Next Cruel Ultimatum… And is 64 the New 60? This week Top Level Podcast run through Remorseless Punishment and a handful other quick hits from Oath of the Gatewatch, and meditate on both Ben Rubin’s highly successful sixty-four card Abzan deck and other “heavy” decks from tournament Magic history. 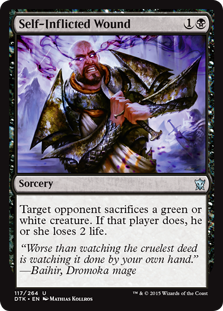 Remorseless Punishment is both a Browbeat and a Cruel Ultimatum… The question is, is it more Browbeat — a card with two different very good sides that failed to add up to a single Tier One sorcery — or more Cruel Ultimatum (the textbook Standard “greater power”)? Mike was originally lukewarm on Linvala, the Preserver; but came around on her (at least a little) after reading Patrick’s article on Star City Games! 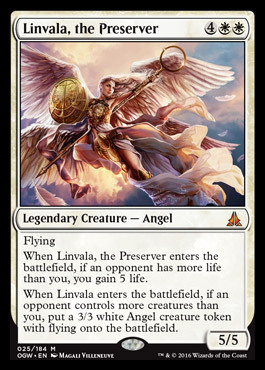 Neither podcaster considers Linvala veritable “great white hope” against beatdown, however. 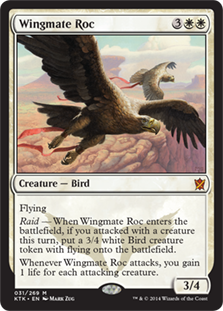 Unnatural Endurance is highly reminiscent of [playable] Theros Block combat instant Boon of Erebos… But without a certain drawback. 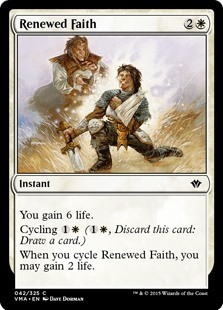 Patrick predicts that Unnatural Endurance will be a game-changing addition for beatdown decks, as there is a bigger gap between Unnatural Endurance and Boon of Erebos than Vapor Snag (cross-format Staple) and Unsummon (fringe playable spell). 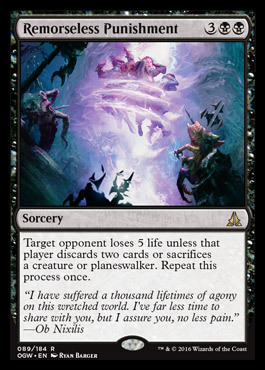 One of Mike’s favorite cards from Oath of the Gatewatch… and it’s easy to see why. Patrick thinks Reality Smasher will indeed be smashing a reality near you, and soon. It is “more Baneslayer Angel than Gaea’s Revenge” and already better in his mind than that playable blue-hating big boy. The lazy analysis is that Ben added four Stubborn Denials to an otherwise black-green-white deck, taking the mode count of sixty up to sixty-four. That would be inaccurate, at best, of course; why then would he have twenty-nine lands? The real reason behind Rubin’s decision surprises Mike… and will probably surprise you. But Patrick would play this Abzan, for sure. 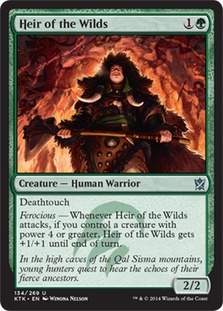 Heir of the Wild returns as a two drop that can hit hard, and punch above weight. Now might be a great time to be Abzan splashing red! Red gives Abzan some amazing tools, like Crackling Doom (arguably the strongest card in Mardu colors), Kolaghan’s Command, or Radiant Flames out of the sideboard. Matt Carlson won the most recent Star City Games Standard Open with an Abzan deck touching for many strategic red cards. Matt won with four copies of Heir of the Wilds… and only two copies of Den Protector (main). The format has gotten to a point where Heir of the Wilds is a more appropriate two drop than, say, Hangarback Walker. 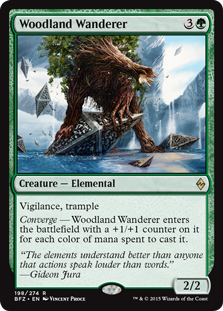 Hangarback Walker is a great card — don’t get us wrong — but the current demands of the format can ask to hit harder than a 1/1 card advantage engine for two mana… And Heir of the Wilds is great in particular because it can trade off so effectively against opposing people’s Siege Rhinos (or other key monsters) in combat. We spoiled Snapping Gnarlid prior to Battle for Zendikar, and generally liked it. 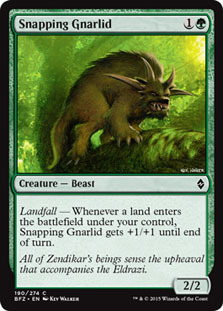 However most of our discussion has been about Snapping Gnarlid in landfall linear aggro decks. In his “Temur Black” deck, Josh McClain chose Snapping Gnarlid as his two drop, taking advantage of some thirteen fetchlands. 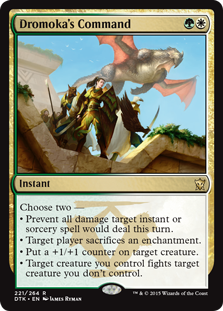 It is a little ironic, we think, that the actual Temur Ferocious deck goes with Snapping Gnarlid as the Abzan deck adpots Heir of the Wilds. In addition to Standard chats about green two drops, Patrick and Michael peruse the recent Modern results and talk a little about the math and matchups of that format. Either they have a creature (and you kill it) or they don’t… And you draw an extra card. And you keep drawing an extra card for the rest of the game. “Ob Nixilis Reignited in Abzan” starts at a familiar place for Top Level Podcast… One of our hosts expressing his admiration for Siege Rhino! So this episode of Top Level Podcast is dedicated to building Abzan decks with new tools from Battle for Zendikar. 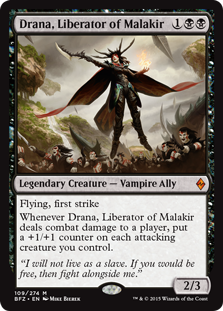 Drana, Liberator of Malakir is a standout three drop… That Mike somehow didn’t have in his starting Abzan Aggro deck. There are lots of good three drop creatures, but Drana is the rare card on the order of Anafenza, the Foremost or Brimaz, King of Oreskos at that point on the mana curve. Drana is great against removal! 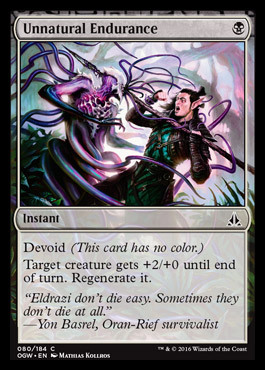 Drana is too big on the backside for Wild Slash; generally too small for Abzan Charm or Valorous Stance; and benefits from the absence of Bile Blight and Lightning Strike (plus the general lack of popularity of Ultimate Price). Drana is a super deadly attacker! Because Drana has first strike, damage potential for all your attackers who don’t have first strike will go through the roof on every successful attack. Drana works with both sides of Hangarback Walker! Drana gives Hangarback Walker itself a +1/+1 counter, but can be even better with several small creatures at your beck and call. Patrick convinces Mike to try Woodland Wanderer; previously Mike considered it just some guy. … Sometimes Prognostic Sphinx is “right” but Baneslayer Angel gives them the business. Woodland Wanderer just gives them the business. We conclude the episode with Patrick putting together an Abzan Control deck on the fly! 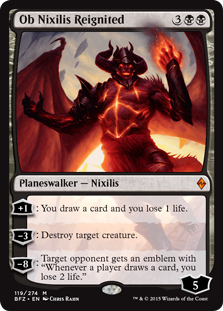 But today: Hangarback Walker is transforming Abzan Aggro! 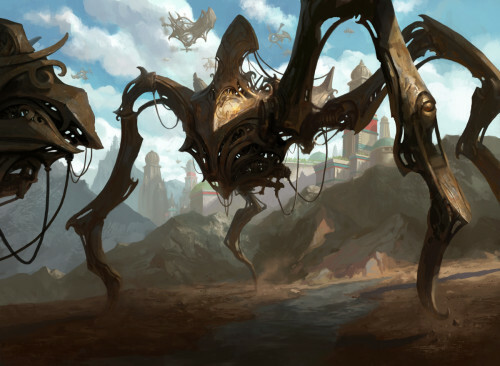 The defining component of the new breed of Abzan Aggro decks isn’t just the inclusion of Hangarback Walker… But also playing twenty-six lands (or as Patrick says, the number they were supposed to be playing all along). Everyone knows Hangarback Walker is a powerful card. But what makes Hangarback Walker so good in Abzan Aggro specifically? Tons of +1/+1 counter redundancy – Abzan Charm; Dromoka’s Command; Ajani, Mentor of Heroes, etc. Michael and Patrick also discuss G/R Dragons, the concept of not playing new cards versus curating old cards, Bant Heroic and what might be great next week. Team Ultra PRO had an outstanding Pro Tour Magic Origins! Two members of Team Ultra PRO made Top 8 of Pro Tour Magic Origins — Pat Cox with Mono-Red and Matt Sperling with Abzan Control — with Rich Hoaen in ninth place on tiebreakers. Find out how Michael, Patrick, and their Team Ultra PRO partners put together their multiple awesome decks, and better finishes! How many Lightning Berserkers is the right number? Top Level Podcast is a house divided here. Patrick thinks the PT-winning build (with four Lightning Berserkers) is a home run. Abbot of Keral Keep has elevated red to high Tier One status. It is a great way to try to hit your third land drop, and a Scry 1 even when you miss. What an unusual collection of two-ofs, three-ofs, and unique card choices! How do Platinum level pros like Patrick Chapin and Matt Sperling get to three Den Protectors, or playing them on turn two against aggro decks? How do you end up with a deck like this, that ends up being so successful? 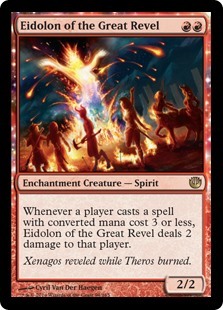 “Eidolon of the Great Revel is Surprisingly Good in the Mirror” will tell you! Abzan Aggro and Esper Dragons (both decks with powerful multicolor cards) got worse due to Languish being printed. Nissa, Vastwood Seer encourages Abzan players to run basic Forest… Which can cast Ultimate Price but not Bile Blight. 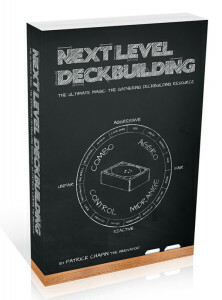 Before we get to the main topics, Mike got his physical copy of Next Level Deckbuilding in the mail! Mike already loved Next Level Deckbuilding (having had the digital version for a year or so) but has lots of nice things to say about the physical release. Gerry Thompson, a friend to the ‘cast, won the MOCS this past weekend with a “retro” Abzan Aggro! … And it really looks like he did! If you look at Gerry’s deck, it really looks like a Khans of Tarkir-era deck, rather than one informed by Fate Reforged, let alone Dragons of Tarkir. By making room for Dromoka’s Command in place of Bile Blight, Gerry reduced his deck’s reliance on black mana, in particular BB on turn two. Welcome back, Wingmate Roc! This is a threat that lets him get in under Elspeth Sun’s Champion, both on mana and on power. 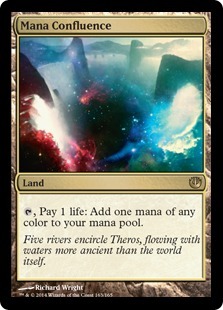 Mana Confluence as a twenty-sixth land does multiple things for the usually-twenty-five-land Abzan Aggro archetype. Among other things, you can side out the Mana Confluence against Red Aggro on the draw! Self-Inflicted Wound hits a shocking number of decks. Patrick spitballs about playing it main deck, not even just sideboard. 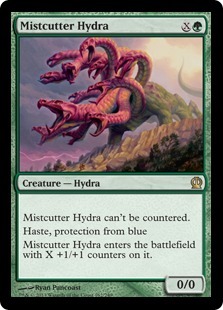 Mistcutter Hydra, a rediscovered piece of technology, can run right by Dragonlord Ojutai! Michael — and especially Patrick — come to the conclusion that Elspeth, Sun’s Champion might be where you want to go in Standard… But have a hard time landing on where to play their Elspeth, Sun’s Champions. Give us a listen, and then comment below. Identifying good cards… and playing them! How and when to “kill your darlings” in deck building. 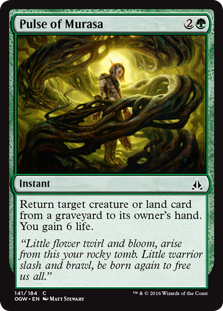 When do you, say, cut a Sakura-Tribe Elder, Goblin Piledriver… Or Courser of Kruphix? <-- This is a key deck building superpower! The secrets of the Abzan Aggro deck that Patrick and other top Pro players ran at Grand Prix Denver (including a second-place “steak knives” finish by friend, friend, and friend of the ‘cast Matt Sperling). 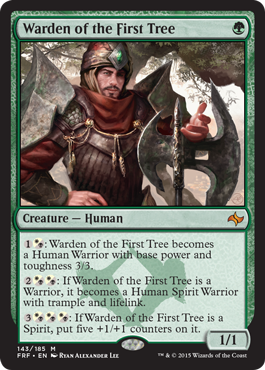 Contextualizing Abzan Aggro for a post-Fate Reforged world… Where Patrick and Michael talk about newcomer Warden of the First Tree! Many Warden of the First Tree ideas, and in-depth analysis of the card! What are you waiting for? Listen to this great new episode!